Located at No. 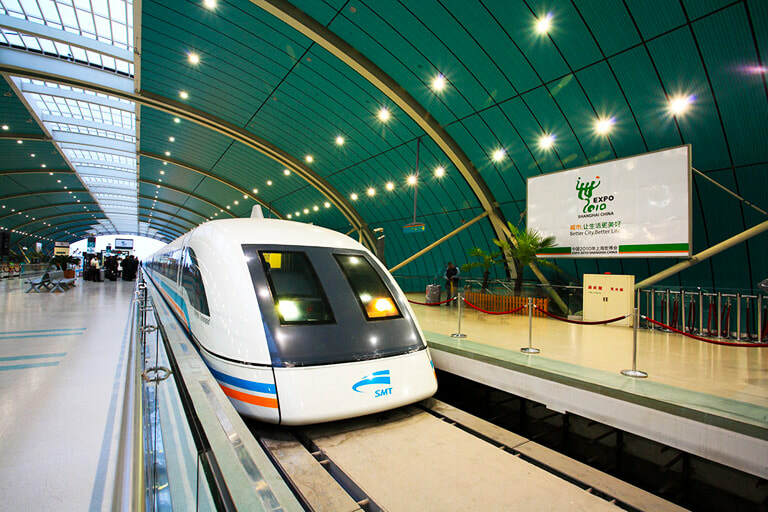 2100, Longyang Road, Pudong New Area, Shanghai Maglev Museum covers an area of 1,250 square meters. The museum is divided into five halls - the birth of maglev, Shanghai Maglev Line, Exploring Magnetic, Advantage of Maglev, and Prospect for Magnetic. The five themes tell the past, the present and the future of maglev. Opened on August 16, 2007, Shanghai Maglev Museum offers related models and parts of the Maglev train to explore. Visitors can personally experience the charm of Magnetiv and know more about Magnetiv through the interactive activities such as Run with magnetic levitation, the Performance of Magnetic Lines of Force, the Game of Assembling, the Contrast of Radiation with Mobile Phones, etc. at the museum. At the museum, you will amaze at the magnetic levitation technology and keep much closer to magnetic levitation technology. Compared to other popular spots in Shanghai, Shanghai Maglev Museum is less touristy. Therefore, you can visit it at any time during the opening hours. There are a few buses passing by Shanghai Maglev Museum. Therefore, there are a few options. Take Bus 975, Bus 976, Bus 989 and Pudong Bus 11 to the Metro Stop of Longyang Road (龙阳路地铁站). Take Metro Line 2 and Line 7 to the Stop of Longyang Road (龙阳路站). Interested in visiting the Shanghai Maglev Museum on a Tour? Wendy Wei Tours offers a variety of different packaged tours as well as custom tours including the Shanghai Maglev Museum, among other attractions and destinations. To find out more, please visit our Tours page or Contact Us directly to find out more.